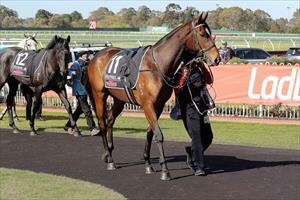 Just one runner for the stable on Sunday when Chapada heads to the turf at Geelong. Chapada runs in race one, the 3YO Maiden Plate over 1412m with Patrick Moloney to ride from barrier three. The son of Bullet Train impressed on debut when finishing sixth over 1300m at Sandown to Approach Discreet on August 15 after finding traffic in the home straight and has pleased Mike Moroney since. “He was luckless on debut and he comes to this strong looking race in good order,” Moroney said.